At the end of this month, I head to Costa Rica on my 4th Mentor Series Trek. I'm really looking forward to visiting Costa Rica, this will be my first time there. I thought I'd give you an idea how I'm packing for this trip. 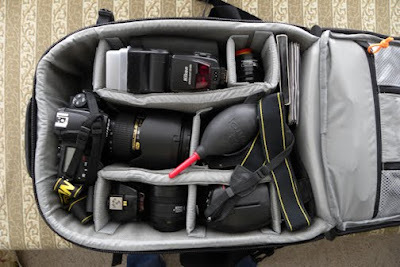 Like a lot of you, I've owned a lot of different camera bags over the years. I own rollers, backpacks and belt systems to carry my gear. I choose the carrying method based upon the assignment at hand. On this particular trip, I'll be taking my new Lowepro Vertex 200 AW. 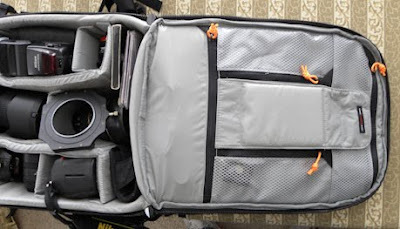 I'd have to say it is one of the finest constructed backpack style camera bags I've had the pleasure of using. As usual I'll be taking two camera bodies, my primary, a Nikon D700 and my Nikon D300 as backup. I'll also be taking along a new snap and shoot from Nikon, the CoolPix P90. I'm looking forward to play with that. The lenses I'll be taking with me will include the following: My Nikon 14-24 f/2.8, Nikon 24-70 f/2.8, Nikon 80-400 f/4.5/5.6, Just to keep the weight down, I've opted for the 80-400 instead of the 80-200 f/2.8. 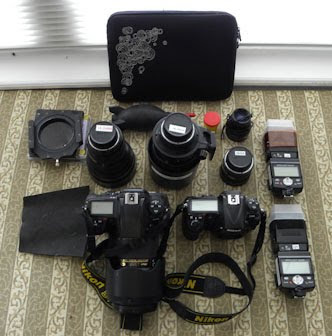 I'll be also bring a cleaning kit, loupe, neutral density filters and a polarizer filter and my tripod. I'll be taking plenty of CF cards, a laptop to download images to as well as an external HD for backup. Here is what the inside of the Vertex 200 AW looks like packed. 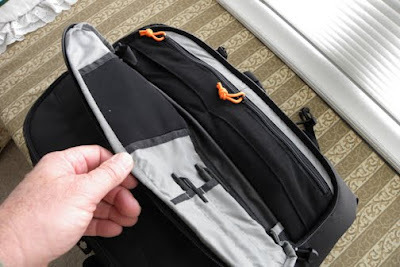 What I like in particular are these clever outside zipper pockets that allow me to arrange my various filters and CF cards. 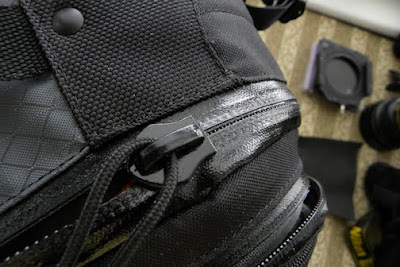 You'll also notice a nice tripod holder on in the center of the pack. I might also add that the pack is very comfortable to wear, it's harness system allows for a variety of adjustment to fit your particular body type. I'm just amazed how much camera stuff we take as photographers when we travel and how important it is to protect it. 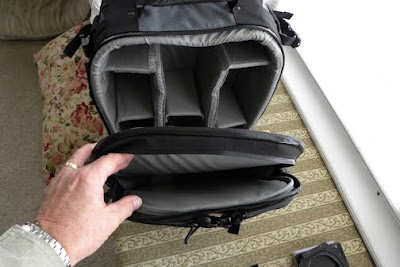 Not only the protection offered by well made camera bags but also when your gear is in your hotel room. I've used a clever device called PacSafe for years. 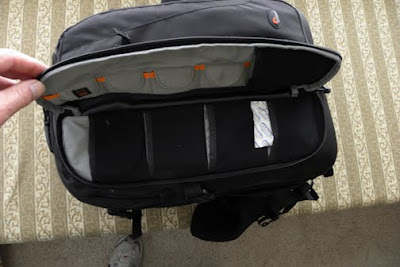 My PacSafe 85 is large enough to secure my Lowepro backpack safely in my hotel room. 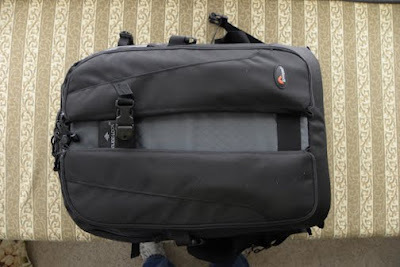 Basically, it is a high-tensile stainless steel locking mesh device that allows me to lock my bags to a secure fixture in the room ie. toilet. 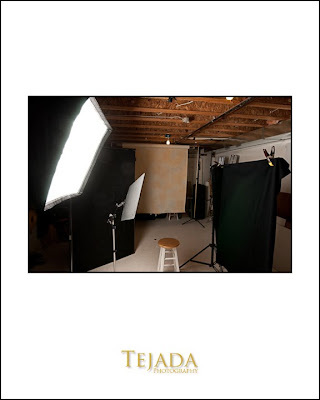 During the Mentor Series Treks I'll be giving lighting demonstrations using speedlights. With that in mind, I'll be bring 2 SB-800's, a small Bogen light stand and Justin clamp. The modifiers I'll take with me will be the double folding 43" inch Wescott umbrella as well as my 33" folding Lastolite Tri-Grip. 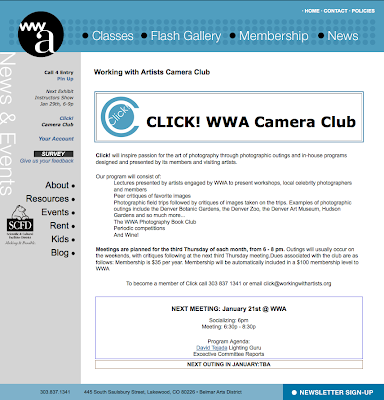 This coming Thursday January 21, I'll be the guest speaker at the Working with Artists Camera Club "Click! ", in Lakewood, CO. Social begins at 6 PM and my presentation starts at 6:30 PM. If your in the area, I'd love to meet you. They are located in the Belmar Arts District at 445 South Saulsbury Street, Lakewood, CO 80226. 303.837.1341 See you there. Up date: Had a wonder time last night, thanks for making me feel so welcomed. 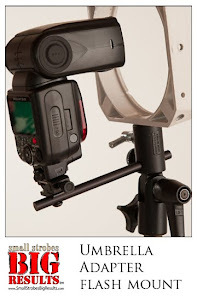 As promised, here is a link to my SSBR B&H wish list of equipment. For those of you that were unable to sign up for the sold out SSBR February 21, 2010 workshop, I have good news for you. We have just added an additional SSBR workshop! 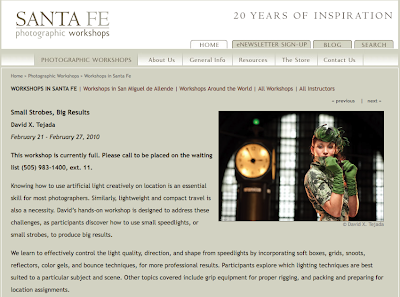 The workshop will be held on March 21 - 27th in Santa Fe. 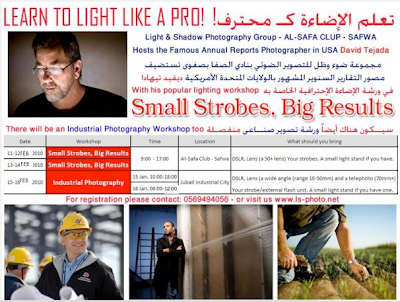 I just love these workshops and I know you will too. 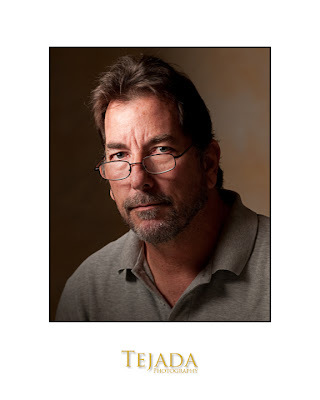 Please contact the Santa Fe Photographic Workshops at (505) 983-1400 before they sell out again.